I first started watching Red Vs. Blue in the DVD format, rather than on-line. It was at a party held by a friend. If I recall right – and it’s been years – alcohol and actual sessions of Halo were also involved in these festivities, because geek parties are awesome. I don’t think Red Vs. Blue itself needs much of an introduction: you’re probably at least passingly familiar with the series, a Halo-based mostly-comedy series done by Rooster Teeth Productions. What you may not realize is there’s already been ten seasons of it (with the newest season coming to DVD November 6). I’m used to thinking of Red Vs. Blue as a comedy series, and I haven’t watched it religiously, so one thing that surprised me about this compilation is just how many of the featured clips were serious action montages. Early on in the show, most clips consist of Spartans just standing around with guns in hand, occasionally nodding to each other while delivering a wry quip. But later seasons focus more on full-blown drama, with well-choreographed combat sequences. I don’t know why the dramatic clips surprised me as much as they did, since it would be hard to sustain a pure farce for 10 seasons, but they were pretty cool to watch and made me curious about how the Red Vs. Blue animation process has evolved over time. When I first picked this up, I thought perhaps it would be a good way to introduce a neophyte to the series, but after watching it, I would say that’s a bad idea. 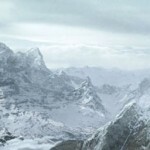 The video relies a lot on in-jokes, and it frequently spoils plot developments that happen later in the series. It is absolutely by the fans, for the fans. If you aren’t a fan, it won’t convert you. And at a two-and-a-half hour runtime, the awards show ceremony setup overstays its welcome, I feel. If you are a fan, then yeah, this is for you. And if you are a fan, you’ll probably also be happy to know that the entire series is getting a 10-season box set next month: all ten seasons in a multi-disk compilation. This coincides with the release of the Season 10 box set next month. The “Best Red Vs. Blue” made me curious to catch up on what I’ve missed in the show proper. But I don’t think I’d personally watch the compilation again… unless it was in the right company, and probably once again involved alcohol. 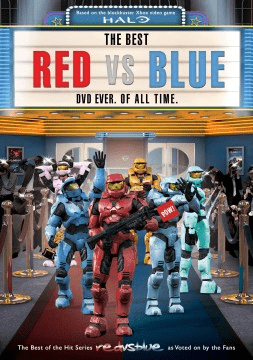 I’m one of those that paid the Red vs Blue Season One subscription after finding it to be one of the funniest things I’d ever seen – but couldn’t work up the enthusiasm to buy into later seasons. I left around the end of series four. The comedy seem to solidify more around caricature (e.g. Caboose becomes an idiot) and, of course, nowadays it’s much more serious with the origins of Church and having to explain everything that was initially invented for a few one-liners. I still absolutely love that first season of Red vs Blue though. @HM: I have this media theory – which has very few exceptions – that long-running properties, even if they start out as lighthearted, trend toward dark/serious over time. That’s certainly the case where Red Vs. Blue is concerned. There’s also this tendency to try to codify and explain everything – which I admit to participating in myself for various fandoms, and which is so much easier now with the internet than ever before. It’s a type of media entropy.